The Vantage has been around in various guises for a few years now, mostly since racing became popular. Its intended audience is for the speed-obsessed, but considering it only in this regard does it a great dis-service. 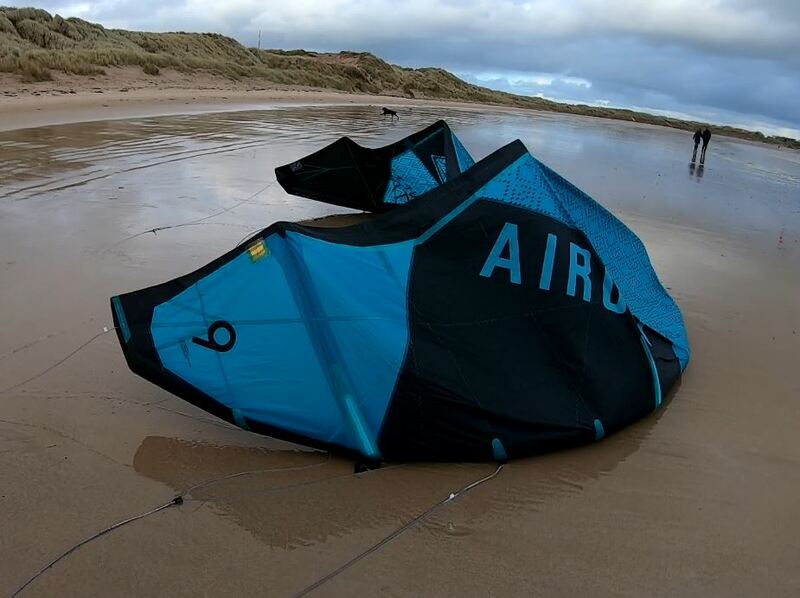 It has benefited from D2 rip-stop for a few years now, and this year sees it also benefit from the Airush load frame with Webtech - keeping its performance higher for longer. The Vantage is a super high-aspect design with a low profile Leading edge and very thin struts which allow it to sit very far forward in the window, leading to great efficiency. Its worth mentioning at this point that the narrow leading edge does need extra pressure compared to those with fatter LE's. This is especially the case if you're using it at the upper end of its windrange. 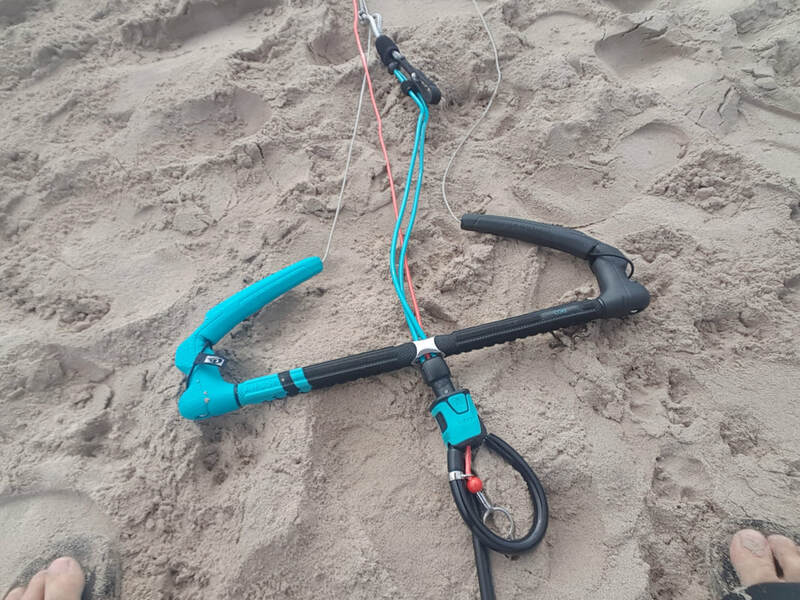 There's a choice of several bars on offer - The core bar with either strap or cleat de-power system, progression bar or access bar for small riders. 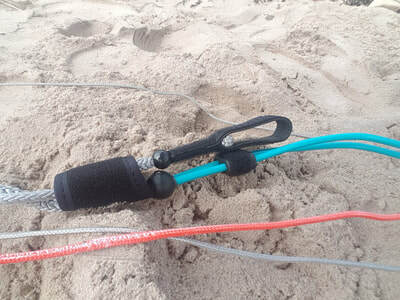 All bars come with low diameter tubing and a comfortable, hard-wearing grip; Brain quick release flagging the kite onto a single front line, heavy duty flying lines and integrated bar ends. As expected, the Vantage sits far forward in the window with good stability for such a high aspect design. It unhooks comfortably when correctly trimmed, but this certainly isn't what this kite is really meant for. 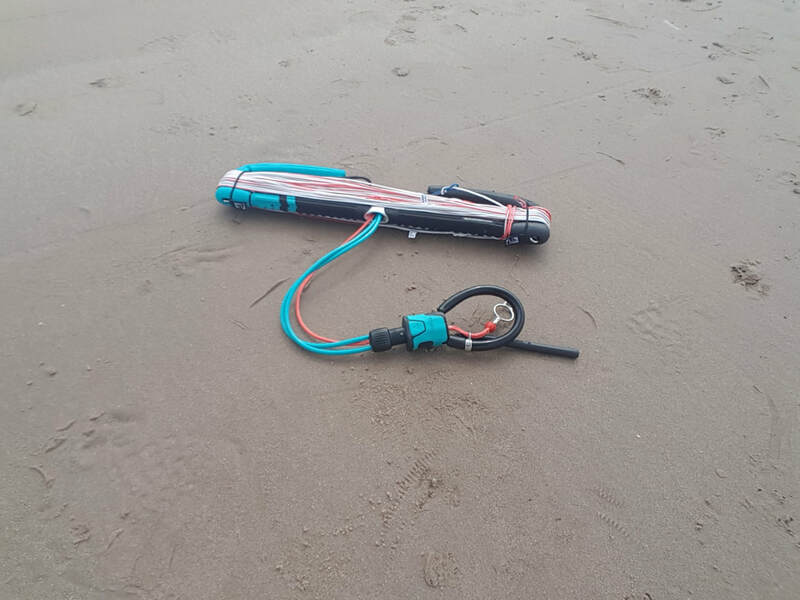 When moving the kite around, there's a good surge of extra power. Turning is pretty snappy, and the kite can be quite pivotal if steered aggressively, yet will forward turn with power in larger arcs. Bar pressure is heavily dependent on the kite power; being rather light when its at its bottom end, increasing to pretty heavy when fully powered. Feedback generally is good for a kite of this type, and gives a good feel for what the kite is doing at all times. The Vantage boasts an exceptional wind range. At the bottom end you can match kites a few sqm. larger, and point further upwind at the same time! It's low end power is developed by building apparent wind, rather than relying on static grunt. At the top end the low drag design allows it to be pushed far towards the edge of the window, making it manageable well outside of its intended range. 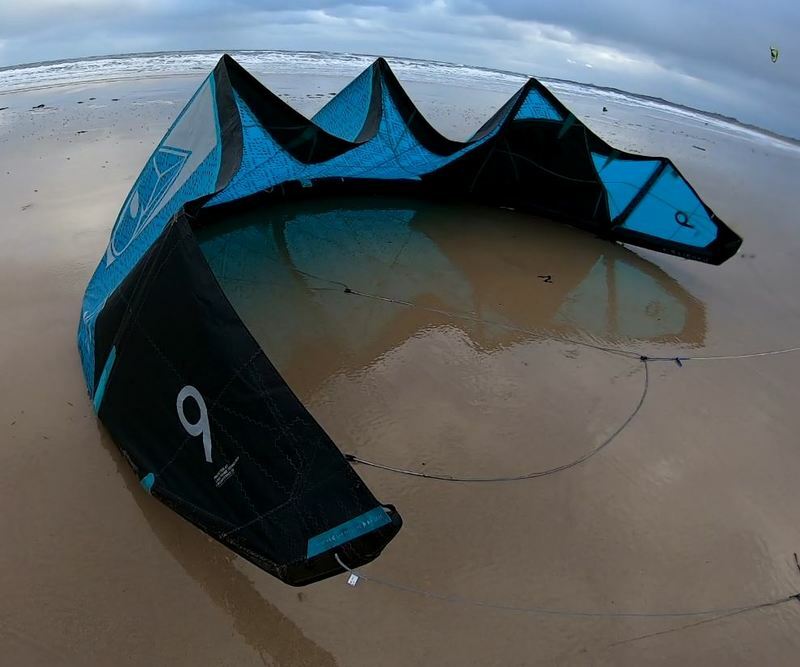 Being a race-inspired kite, its no surprise that it soon accelerates up to​ a good pace, and also allows you to point much further upwind than most, making it an obvious choice for those looking for a weapon to couple with a race board or high-performance foilboard. 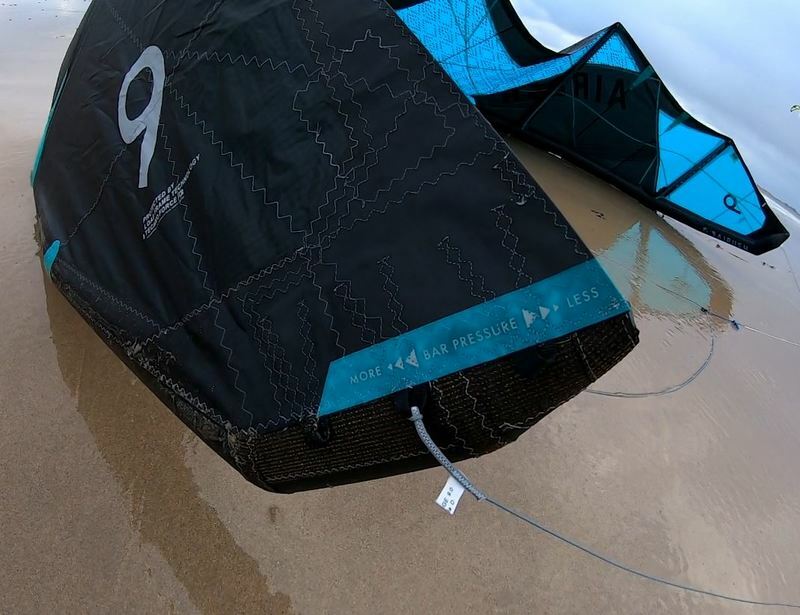 That said, its also a very nice kite to blast around with on a twin-tip, making free-riding and upwind progress simple over a huge windrange. In terms of relaunch, its pretty quick and effective, but its expected that its not as fast as those with more extreme curvature. What appears to have been somewhat of a secret for a while is how accomplished the Vantage is as a boosting machine, regularly topping woo charts for those riders who make use of it. This was something I was eager to try out for myself, to see how much difference it makes. On my first session on the Vantage I totally destroyed my previous Woo PB of 15.1m which I'd got on the Union V4, with a 17.2m monster. I found that the Vantage gives really reliable big jumps, even in pretty light winds, but to get considerably over 15m on the flat it does need to be well powered. In a later session I increased my PB to 18.7m, and I'm sure there's some room to go a fair bit higher. 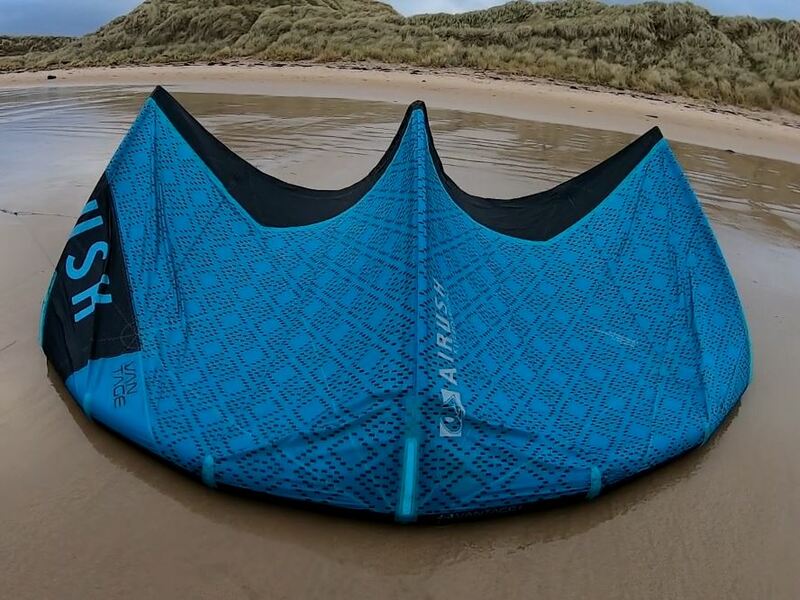 If you're really into boosting, this kite will make you grin from ear to ear, and it certainly gets you really hyped for those strong wind days! 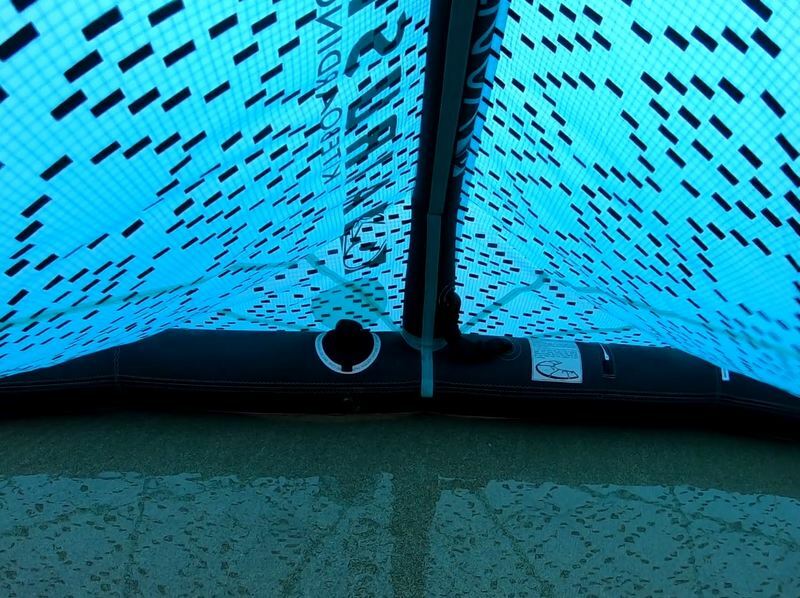 The Vantage accelerates you upwards very quickly, after which there's a more leisurely float back down, over which you can cover great downwind distances. Its worth warning how much room you do need to leave downwind when you really catch a big one, which i know from personal experience having landed a 16.4m jump straight on the beach from a long distance upwind. The Vantage is a nice kite to underturn/downloop on the way down, which adds loads of style to your jumps and helps keep those airtime figures high and techniques such as this can become really important to keep your kite flying when you go really big! 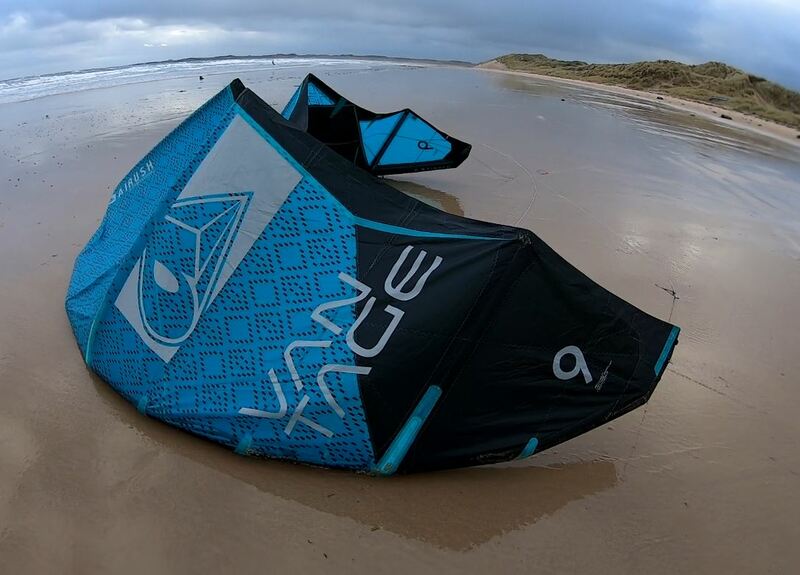 Its a fun kite to dabble with for some hooked-in freestyle, but its certainly not what the Vantage was made for. 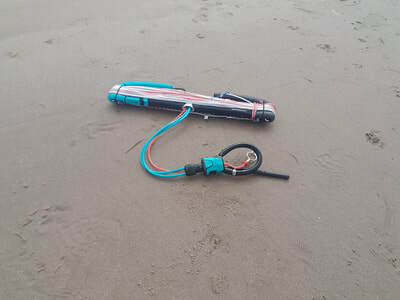 It does also fly nicely unhooked, but there are far better options for this, and was something which didn't make much sense to try. The Vantage is a kite which few will of heard of unless in racing circles or those curious of which kites high woo heights are being posted on. 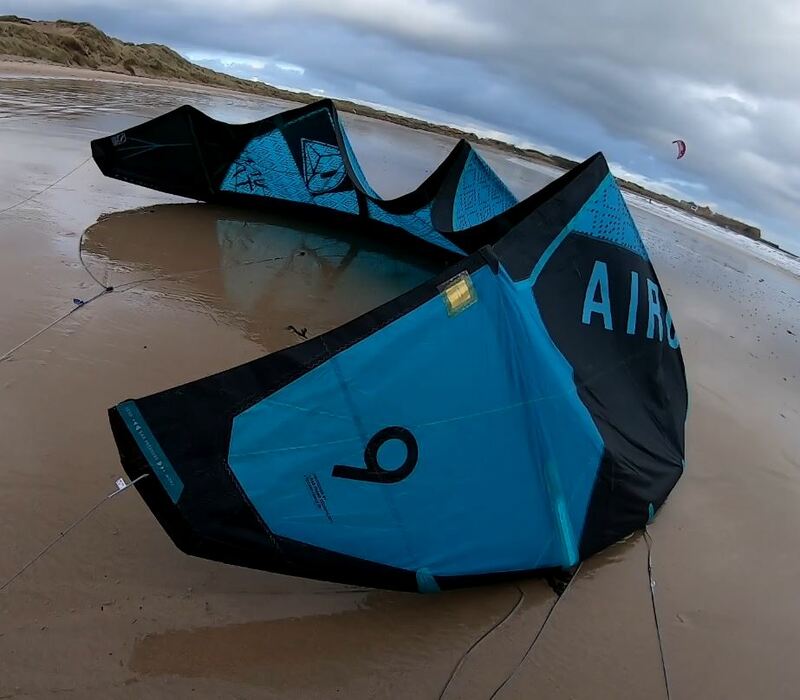 It is a nicely refined freeride kite, and one which can be pushed to power you to great top speeds when coupled with something speedy underfoot. Its certainly suited to the more advanced rider who is looking for more in their current kite, yet has good levels of user-friendliness. It's its jumping performance which really turns people's heads! 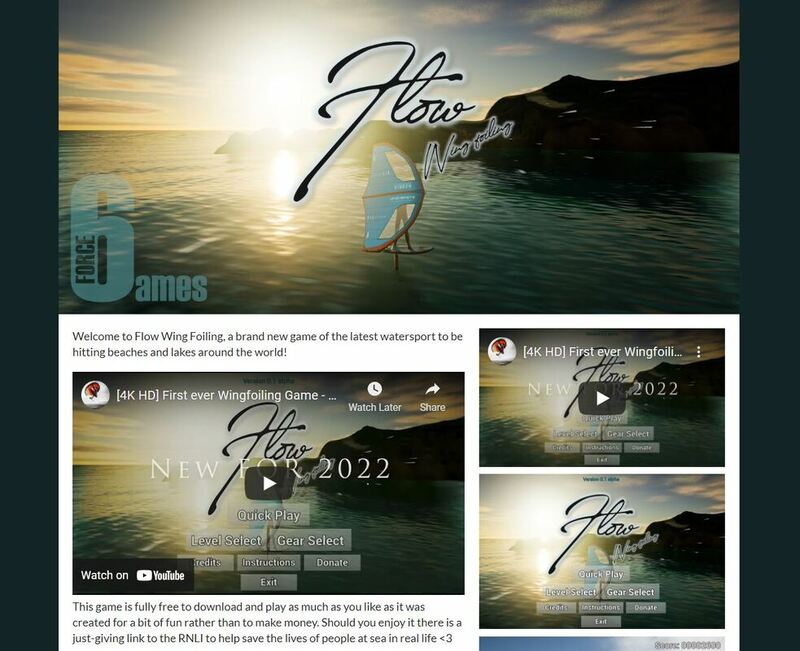 Its a great, fun kite for getting the heart pounding from way up on high to push the limits of what you've done before, and put simply its results on the leaderboards speak for themselves!